KIDS’ birthday parties used to be casual days where you invited a few pals around, ate a cake your mum made and ran in circles around the garden. Not so nowadays. Parents are now spending small fortunes on fiestas with piñatas, bouncy castles, chocolate fountains, entertainers and over-the-top party bags. Eight in 10 Irish mothers have admitted they dread the added expense of kids’ birthday parties throughout the year. Online parenting website MummyPages.ie found 82pc of parents feel under pressure to ensure their child’s party holds the same wow-factor as parties hosted by their friends. But some people it would seem have had enough and are making their feelings about fancy parties and party bags known. A mother in the UK has been left “fuming” after a parent returned a party bag given to their child at her daughter’s birthday party, stating that the contents were “too generous”. The party host’s post about the incident online has caused a huge reaction. The mother, who organised a small party at home for her 11-year-old daughter with just four friends, was shocked to receive the party bag back. The party, which was a sleep-over, involved pizza and watching a movie. Not exactly over-the-top or showing off. The party bag, which the other mother sent back, wasn’t excessive either. “I didn’t know what to do about party bags so instead of little plastic ones I bought some gift bags and made up bags including some pens, a notepad with each of the girls’ initials, a little nail varnish set each, a book, a pair of novelty socks, some sweets and a piece of birthday cake,” she says. To be fair this doesn’t seem like a party bag to be getting your knickers in a twist about and, remember, there were only four guests. However, a mother of one of the girls who attended the party was “offended” by the party bag and sent it back. Inside the returned goody bag was a letter stating the party bag was far too generous and she couldn’t let her daughter accept it. The parent who wrote the letter had allegedly told her daughter that the mother of the birthday girl tries “too hard”, which left the poor birthday girl feeling embarrassed and her mother both mortified but also furious. The reaction was instant with most parents supporting the birthday mum and saying that the other mother was totally in the wrong to send back the party bag. Most felt it was unnecessary and just plain rude. I have to be honest, I am not a fan of party bags. I think if you have fed, entertained and then given my child birthday cake, there is absolutely no need for you to hand them a parting gift. It seems nuts. But when I suggested to my kids that we not bother with party bags for their birthdays there was consternation. They begged me to reconsider, so I gave in to their wishes and bought a load of rubbish to fill up the plastic bags. As every parent knows, the party bag contents usually end up in the bin – unused, broken or just cast aside. They do seem like an awful waste of money. To be fair to this mother, both her party and her party bags seemed very reasonable, and actually very thoughtful. Regardless of how you feel about them, I think sending a party bag back is incredibly rude and offensive. But is this a sign that parents are getting fed up with party bags that they view as ‘too much’? 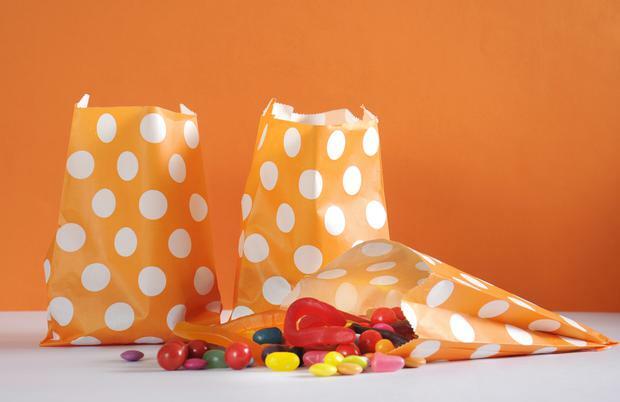 Are parents feeling pressured into producing bigger and better party bags? Dr Rosemary Walsh, senior clinical psychologist, says: “Perfectionist parenting can lead to well-intentioned over doing it and performance anxiety. It seems like the sensible thing to do and would avoid hurtful behaviour and feelings being crushed. However, getting everyone to agree is not always easy. A friend who recently suggested a €5 maximum for presents in her eight-year-old’s class was told by another parent they felt it was “too small” an amount and she didn’t appreciate being given a price limit on gifts. Parents can’t and shouldn’t compete with each other.